A group of pro-EU MPs are plotting a UK Government shutdown in order to prevent Brexit from happening on 29 March, 2019. The group of Remainer politicians say they will stop a no deal Brexit by starving the UK Treasury of funds which they boast will lead to “total paralysis” of the Government. Breitbart.com reports: The MPs are set to vote on two amendments to the Finance Bill, which grants funds to the Treasury to spend on implementing no deal arrangements, on Tuesday. 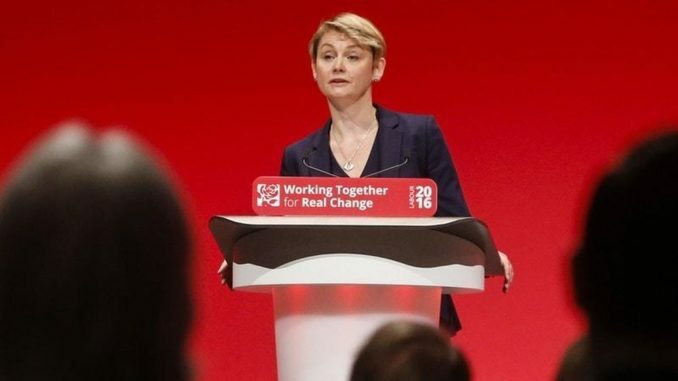 “We’ll be looking to table similar safeguards to all government legislation,” Ms Cooper added, with the Sunday Times reporting that the plans also have the backing of select committee leaders Hillary Benn, Rachel Reeves, Harriet Harman — all from the Labour Party –Frank Field (formerly of Labour), and Sarah Wollaston (Conservative). Two members of Prime Minster Theresa May’s team told The Times on Saturday that the plan could lead to the “total paralysis” of Government. A senior Government source added that Ms Cooper’s amendments would be “the first of many” attempts to stop a no deal Brexit should MPs vote down Mrs May’s unpopular EU Withdrawal Agreement in the week beginning January 15th.